Tiffany & Co. has been one of the world’s premier jewelers since1837, creating designs of timeless beauty and superior craftsmanship. 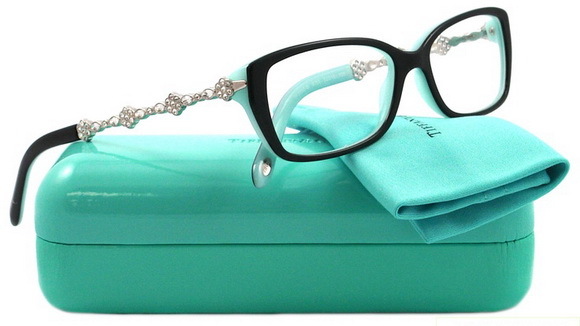 Tiffany eyewear is no less distinctive than its jewelry. Its exclusive designs, many of which are inspired by Tiffany’s iconic jewelry collections, are classic, feminine and sophisticated with the signature elegance Tiffany is known for. Intricate details and beautiful trimmings adorn the luxurious eyewear collection, which often sparkles with Austrian crystals. Tiffany’s exquisite glasses and sunglasses use a variety of high quality materials, some including sterling silver and diamonds. Along with their unique and dazzling jewelry, Tiffany’s latest eyewear collection was celebrated by the elite in the fashion world for its innovative beauty, elegance and glamour.